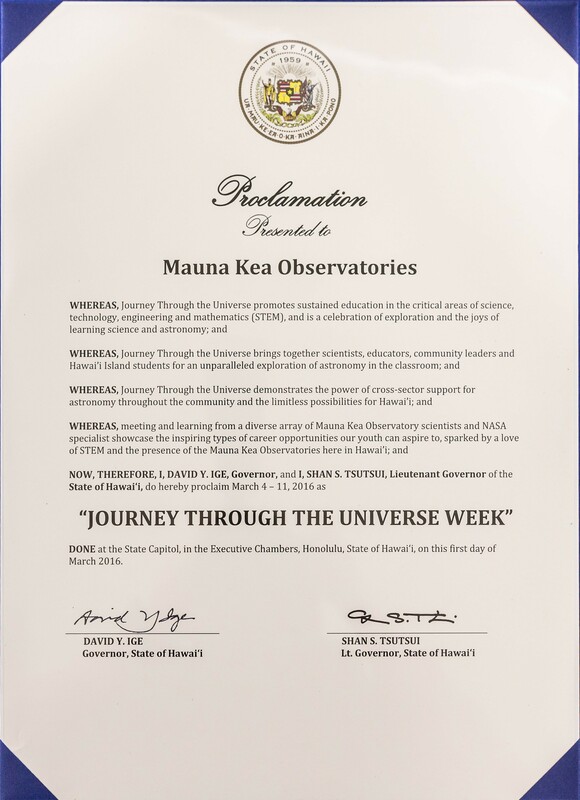 Governor David Ige proclaimed March 4 through March 11 as “Journey through the Universe Week” during a Monday evening ceremony in Hilo. 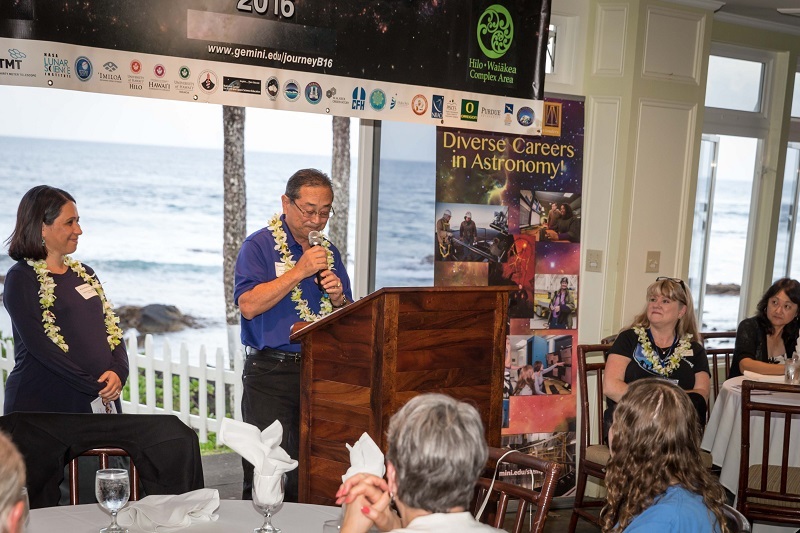 Monday’s proclamation was presented by the governor’s representative, Wil Okabe. 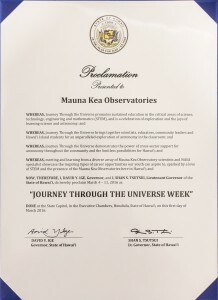 This year’s 12th annual Journey through the Universe program will run through the second week of March. 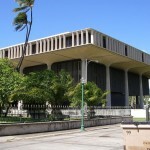 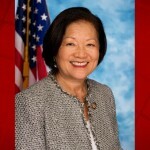 A total of 83 observatory professionals will share their passion for science in hundreds of classroom visits throughout the week in a collaboration between the Department of Education Hilo-Waiakea Complex, Hawai’i Island business community, Maunakea Observatories, and NASA. 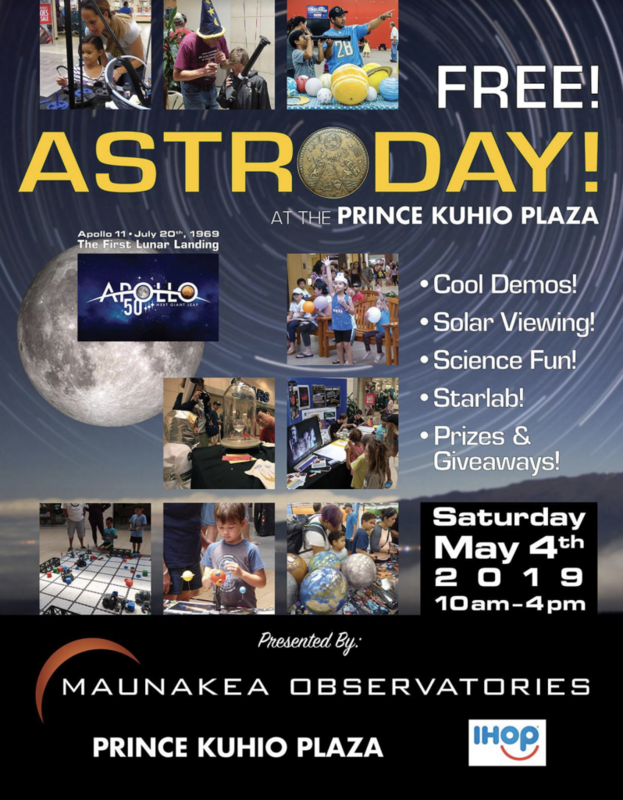 In addition to classroom visits, the program will include observations of the partial solar eclipse on Tuesday evening in Waikoloa, a talk from NASA’s Solar System Exploration Research Virtual Institute’s Brian Day, building Galileoscopes with National Optical Astronomy Observatory’s Robert Sparks and Peter Michaud of Gemini Observatory, a “stellar tour” of Gemini’s StarLab portable planetarium to all area K-1 classrooms, where students will learn about the Solar System, constellations, and Hawaiian navigational star lines and legends, and a Science Communications workshop at the Imiloa Astronomy Center, led by world-renowned science educator Dr. Dennis Schatz, focusing on how to most effectively share science with students.